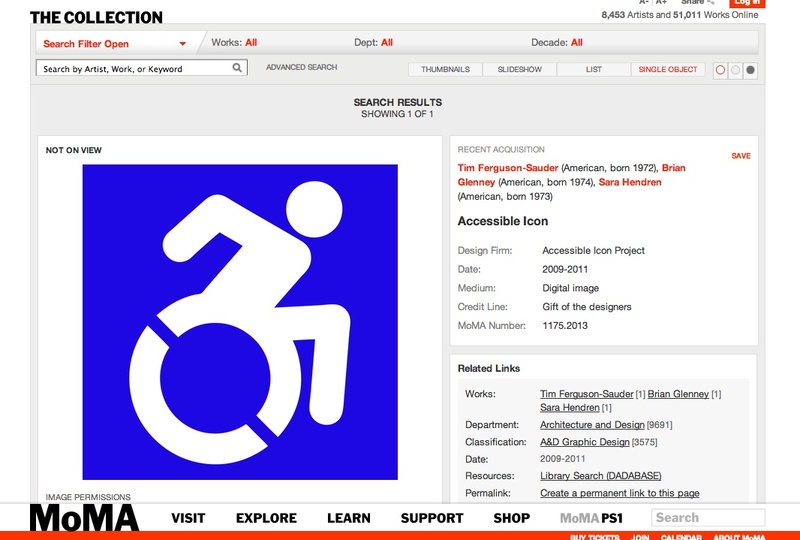 The Accessible Icon Project really is part of the permanent collection at MOMA! I’m still stunned. I’ll be heading down to New York to see it in an upcoming show called A Collection of Ideas. Get in touch if you happen to see it! And thanks to so many of you who supported our early work on this project.